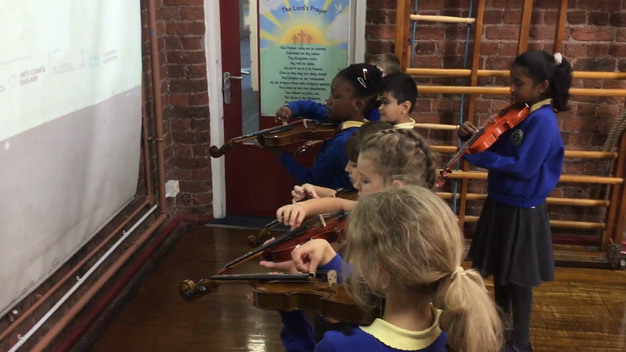 Year 4 have started their weekly violin lessons with Mr Naylor. They have been measured for their violins and been learning how to hold the violin. We have been playing some tunes by following the notes on screen and plucking the strings. We have been learning how to hold our bows and play the violin using bows.